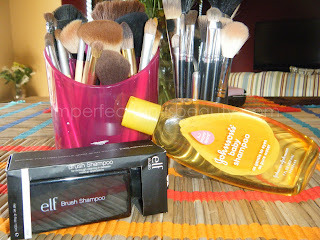 Once a week I actually shampoo my brushes, well I at least try to keep up with it once a week. I've noticed that the more I keep my brushes clean the more my face clears up, and since I'm not tanning my skin is a little more sensitive therefore, I need to keep it clean, and moisturized. I've recently started using the elf brush shampoo because its a hell of a lot cheaper then MAC's and it does just as good of a job. Although, I do like the elf brush shampoo I do tend to go through those suckers often. 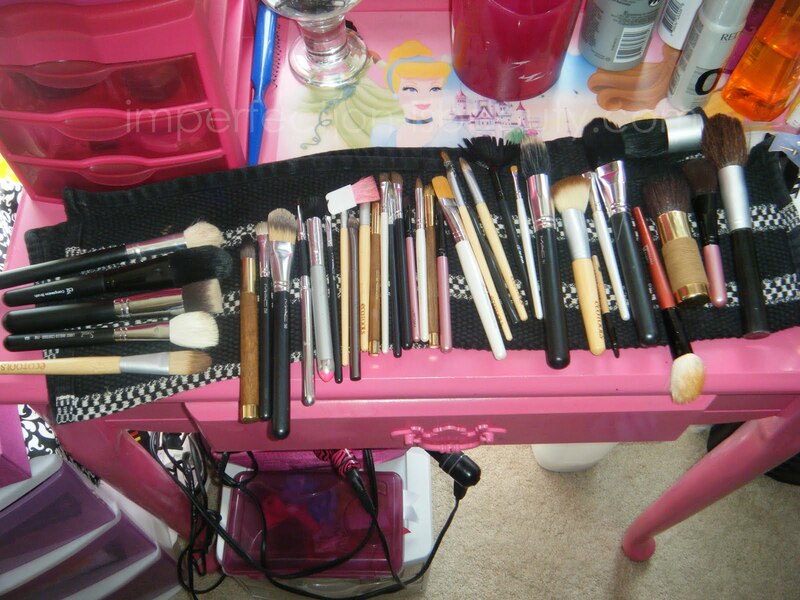 Today as I went to Walmart I was on a kick with cleaning all my makeup, brushes, and my vanity, I usually do a complete wipe down once a week but I haven't actually sanitized my makeup in quite some time. I was thinking about it because I had just scratched my eye the other day, and my first initial thought was that I had pink eye. I always get makeup stuck to my contact, almost everyday and its not good actually it could cause bacteria build up and I could get conjunctivitis, aka pink eye in which I've had a few times and its not pretty. School is getting closer and I really don't want to fall behind before it even starts..
Read more on brush cleaning. 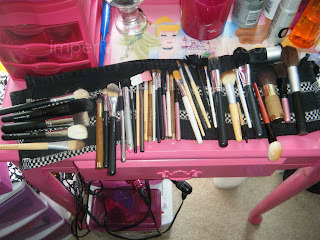 How I clean my brushes is pretty easy, yet it takes me so long. Step 1: I put warm water in both bowls in the sink so that if I make a mess which that never fails that its easy to clean up. * note * I do have to dump out the water in the first bowl quite a bit because it gets so dirty but its better then having constant running water the whole time your cleaning your brushes. 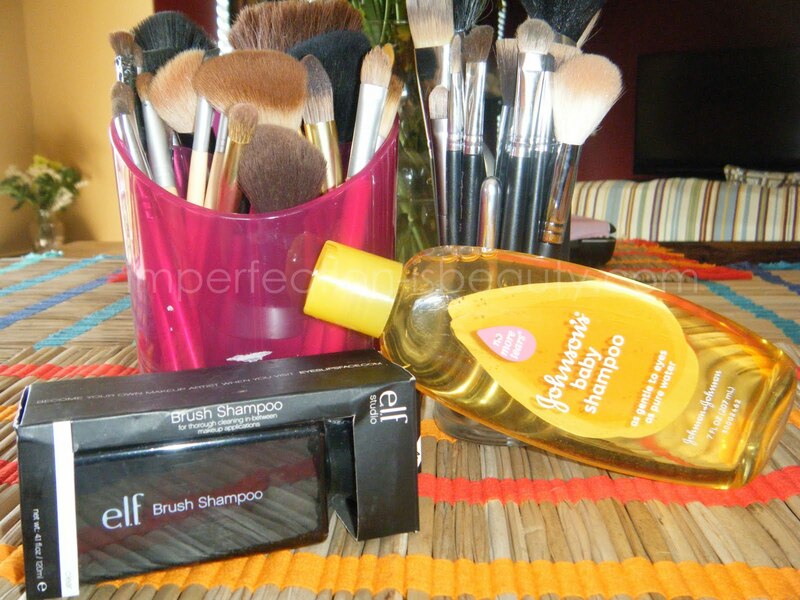 Step 2: I put shampoo on my towel and swirl the brush onto the shampoo. Step 3: I place my brush in the first bowl of water and work my finger though it until it runs clear. Step 4: I rinse it in my second bowl to get any excess shampoo off. Step 5: I swirl it on my paper towel to make sure their is no color left on the brush. Step 6: I shape & squeeze any excess water out of the brush. Step 7: I lay them out to dry on a clean towel. Its pretty easy I know but its also very important. Daily, or every other day to keep the bacteria off my brushes, and off my face I will use some elf makeup wipes that I leave by my vanity to swipe any makeup off after I am finished for the day. Great post! I go through stages where I'll clean my brushes every week for months then i'll start getting lazy and skip a week or two. 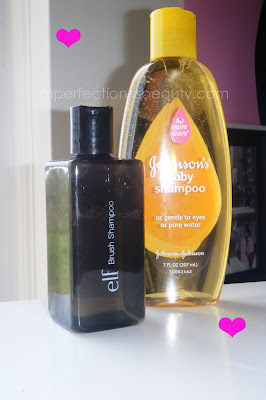 But do you use the baby shampoo for deep cleaning (like you explained) and the elf brush cleaner for spot cleaning? Or does it even matter? lol sorry for all the questions. Thanks hun! It was, I have both a brush cleaner and I've always used baby shampoo. I got the brush cleaner not too long ago at Sally's Beauty Supply bc it was on sale. I haven't used it yet. I like using anti-bacterial wipes too. I think I'll stick to the baby shampoo. lol. thanks for your help!